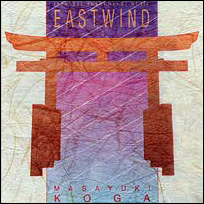 A collection of traditional songs and inspired improvisations, Eastwind presents the artistry of one of Japan's most distinguished musicians: Masayuki Koga, master of shakuhachi - the Japanese bamboo flute. Shakuhachi is directly connected to the breath, and thus intimately connected to the spirit, intellect, and emotions. The expressive nuances of Master Koga's performance are beautifully captured in this superior audiophile recording. 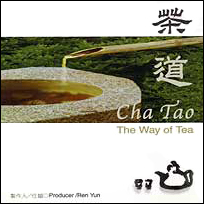 In Chinese and Japanese culture there is a great tradition of tea that may be introduced with two words: Cha Tao - the "way of tea". Mastering the art of tea leads to refinement of character. This does not mean an empty attachment to superficial manners and meticulous rules of tea-drinking. Instead, Cha Tao encourages a return to nature and the pursuit of all that is pure and simple in life. 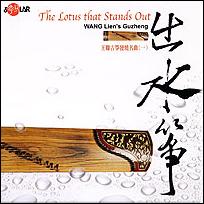 The Lotus that Stands Out features a representative sampling of the repertoire of China's guzheng, a 21 string plucked instrument (similar to a zither). All five major regional schools of composition and performance are represented: Chaozhou, Zejiang, Henan and Hakka. In the title track, the noble lotus flower, rooted in the mud, grows out of the water, graceful and pure. Tea Drops invites you to have a cup of tea: contemplate the emerald leaves and golden liquor. Drink in the scenery of tea's homeland and feel the rhythm of traditional Chinese instruments. In Tea Drops, nature, tea and poetry are blended into a musical expression of an aesthetic way of life. Imagine a boiling kettle's vapor merging into the rain's mist and moonlight reflected in a cup of tea. 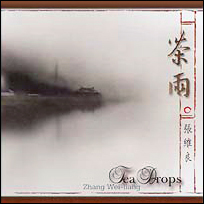 Tea Drops offers a musical experience to cleanse the mind and elevate the heart.